Syseo® Report is a full web solution for collecting structured medical data with optimal traceability and security of the data collected. 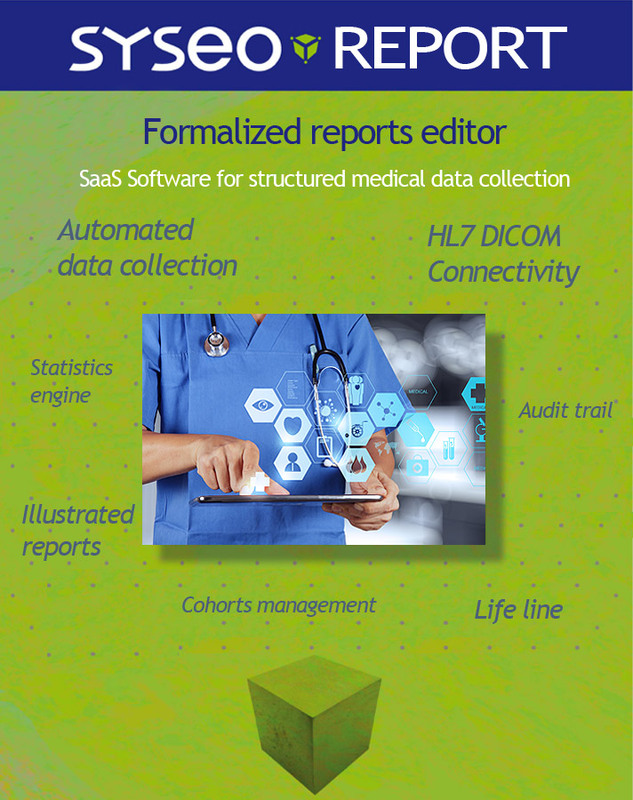 Hosted in your institute or at our high-security health data host (HDS H3+), Syseo® Report has unique features in its field that make it essential in the creation of patient cohorts, particularly on pathologies with a large number of granular data. 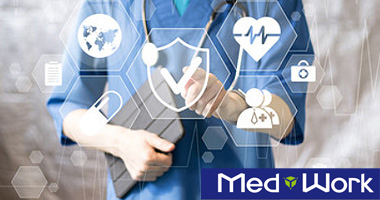 It has a millimetre-sized statistical extraction capability and high interoperability with existing patient records (EMR) and clinical study software. 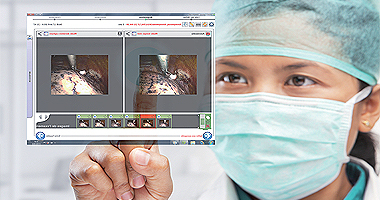 Syseo® Report allows the rapid production of customizable image reports and interacts immediately with our Medwork® solutions. More on Syseo® Report ? Syseo® Dictation is a full web digital dictation solution that works within the market’s hardware and software infrastructures and is compatible with all Dictaphones and microphones from our partner Philips. Simple and fun, the supervision interface allows you to manage all practical workflow with high data traceability and security. 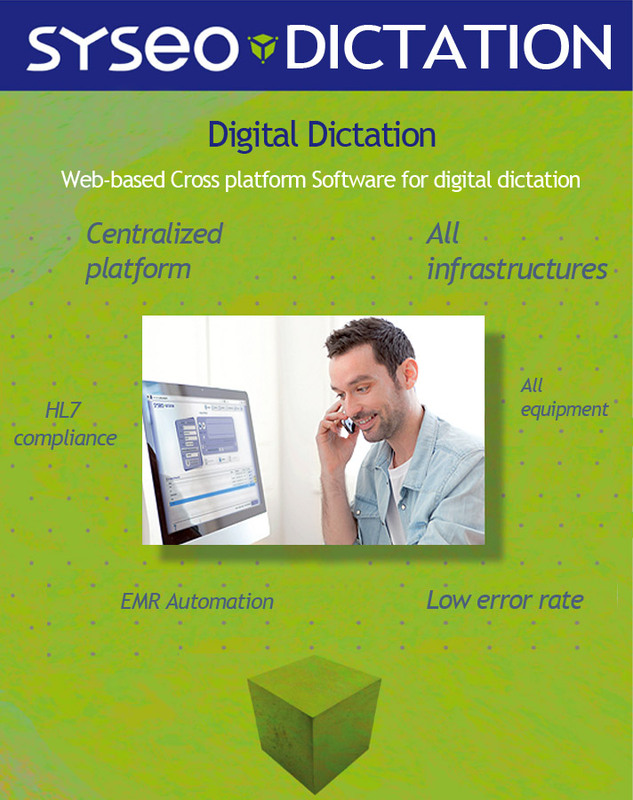 Syseo® Dictation integrates with many patient files and interfaces easily with the existing information system. More on Syseo® Dictation ? 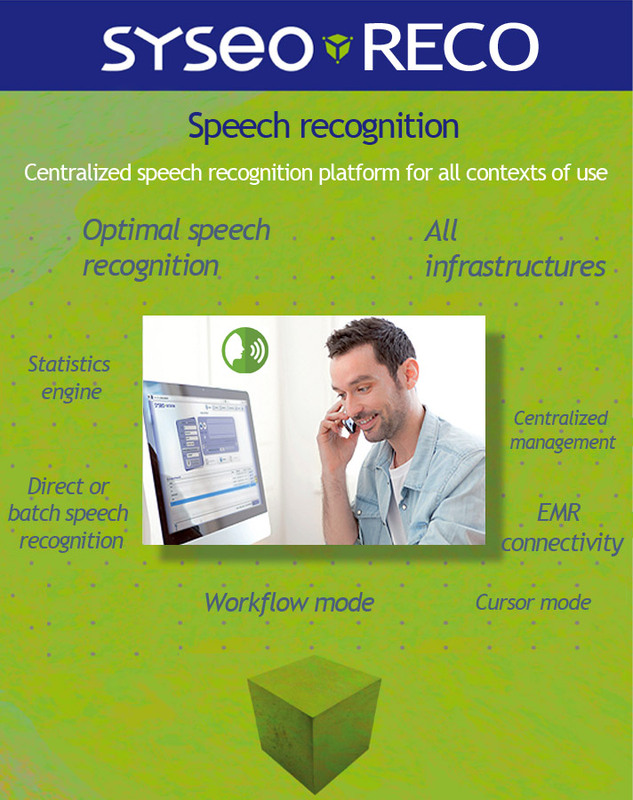 Syseo® Reco is a centralized speech recognition solution that allows easy implementation and maintainability in an environment with several hundred users. Syseo® Reco has a specialty dictionary and allows voice recognition both in predefined fields (cursor mode) or in free text, with or without secretary correction (karaoke mode). Our system operates either in direct mode using a USB wired microphone or in delayed mode from a standard Dictaphone or smartphone. Using voice command allows you to automatically attach the patient’s administrative or medical data from the patient’s file and design standard reporting templates. 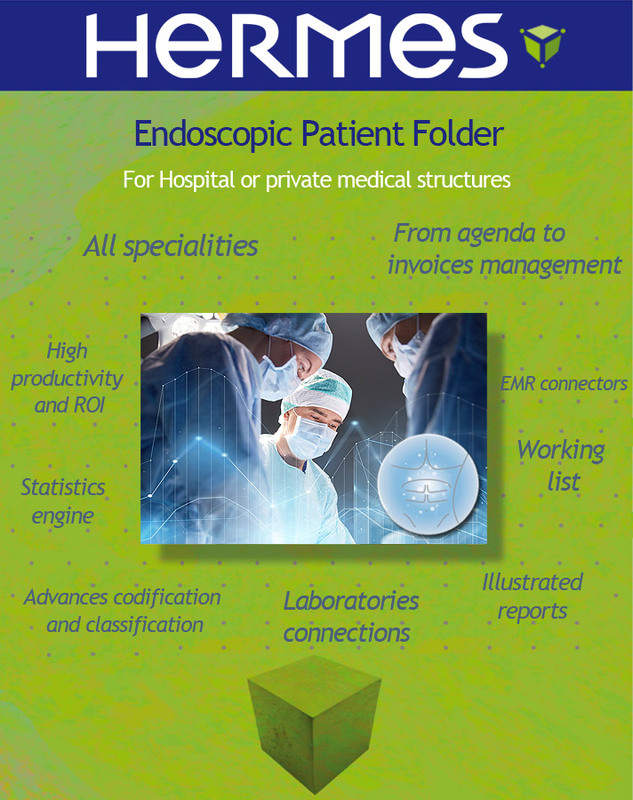 Hermes Endo is an endoscopic patient folder able to manage a digestive endoscopy centre. It can also be used for other specialities such as pneumology, urology or gynaecology. Hermes has a capability to adapt itself to existing work habits: increasing productivity. Hermes endo is premium software using zero paper but collects a huge quantity of multimedia data in a short time. This software was created in 2010 and is an evolution of Endomac, a French software created in 1992 by gastroenterologists.